Former South Jersey police chief Frank Nucera Jr. is now charged with a hate crime. He is accused of slamming an African American suspect's head and violating that man's civil rights. NBC10's Steven Fisher was inside the courtroom Wednesday. 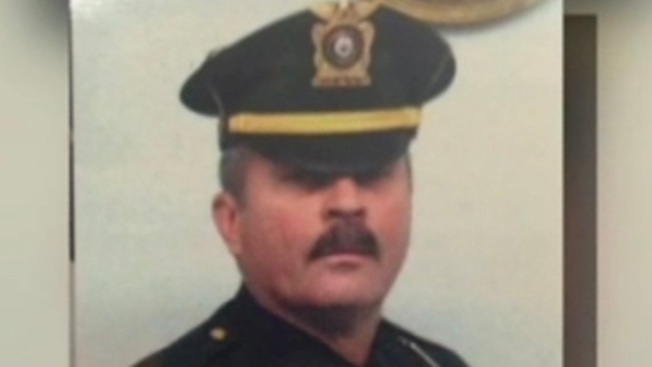 The former police chief of a Burlington County, New Jersey, township was accused of civil rights and hate crime charges Wednesday for an incident that involved a handcuffed young black man. Frank Nucera Jr., who is white, retired suddenly as chief of Bordentown Township in January while under FBI investigation. In announcing the charges, U.S. Attorney Williams Fitzpatrick alleged that Nucera "harbored an intense racial animus toward African Americans." "The defendant dishonored the profession," Fitzpatrick said. In the federal complaint, Nucera, 60, allegedly attacked the 18-year-old from behind and slammed his head into a doorjamb while the suspect was being escorted by two officers from a hotel. Fitzpatrick said the investigation into Nucera came about because of subordinates in the Bordentown police department. "This is a crime identified by the Bordentown Township police department by officers in that police department," he said. The FBI's special agent in charge for New Jersey, Tim Gallagher, who oversaw the investigation, said the allegations are not representative of the vast majority of police officers in the Garden State. But, he added, no one gets to enforce the law as they choose. "Badges and guns do not come with authority to violate the constitution," Gallagher said. The criminal complaint alleges that Nucera used numerous racial slurs to describe black suspects and ordered the racially discriminatory use of police dogs to intimidate them. Audio recordings allegedly capture some of the racist comments by Nucera. Nucera was scheduled to make an initial appearance in federal court on one count of hate crime assault and one count of deprivation of civil rights under the color of law. Each count comes with a sentence of up to 10 years in prison.